Hello guys, welcome to my website. Today I want to share you the benefits of drinking cold water. Well, not many people knowing the benefits of drinking cold water, right? Cold water or iced water or any other iced drinks have benefits to our body too. So, aside from the benefits of drinking water, you will get the benefits of drinking iced water. There are a few benefits of drinking cold water. However, there are not many people who knowing this. So, I will try to bring up this topic to the surface and reveal it to you guys. Here is a list of the benefit of drink cold water for your health. A glass of cool water when you wake up will help you to start your body metabolism. Sleep is a process to rest and recover after working a whole day. After you work your body will lose a lot of liquid. So, it’s recommended to drink a glass of cool water after you wake up. It’s to restore your body fluids. Stabilize your body temperature. According to research, our body heat will raise up after doing several works. So it’s really recommended to drink a glass of cold water after you are doing a lot of works. This cold water will help you regain your body fluids and cool down your body heat. After Doing some exercise. It is really recommended by the researcher from American College of Sports and Medicine to drink a glass of cool water when you are doing an exercise of after you are done doing it. Cool water will help you to replace your body fluids that loss after you working out. Cool water also helps you to cool down your body heat. Research proved lack of water in your brain will make you dizzy and confuse because a lack of water will disturb your oxygen supply to the brain. So, it’s really recommended to drink a glass of cool water when you are dizzy. Prevent dehydration. A glass of cool water every day will help you to hydrate your body back after you are doing a heavy job and losing your body through activity. Aside from the benefits, there are a few disadvantages of drinking cold water too. You must be shocked right? Yes, There are a few disadvantages of drinking cold water especially when you drink it recklessly. So, When is the right time to drink cold water? That’s nice question but before I answer that. I will explain some disadvantages of drinking cold water first. Here are a few list of the disadvantages. Disturb your body to digest your food because the truth is our body need something warm to eat and drink. 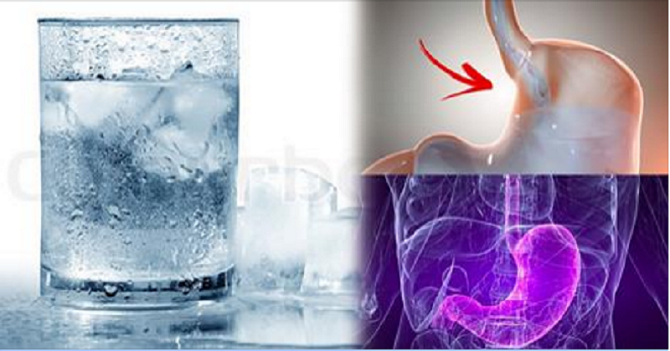 So, too much drinking cold water can be affecting our digestive system. Will make you feel the sensation of Brain Freezing. Easier to catch a cold. So, When is the right time to drink cold water? The answer is anytime but remember to not overdrink it. Every time you are over doing something the result never be good, I hope my article will help you recognizing the advantages and disadvantages of cold water. Thanks for reading my article. See you in my next article.